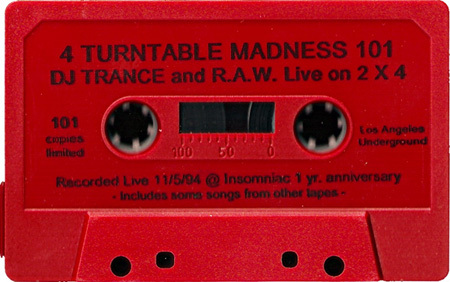 4 Turntable Madness 101, mixed by DJ Trance & R.A.W., was recorded live at the 1 year anniversary party for Insomniac. 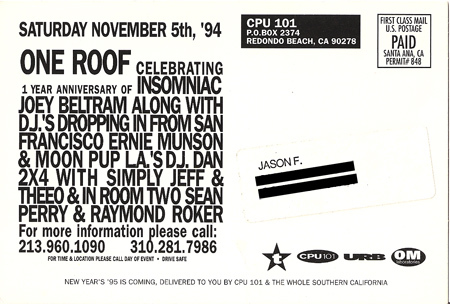 The original lineup that was promoted for this event was Joey Beltram, Ernie Munson & Moon Pup, DJ Dan, Simply Jeff & Thee-O on 2×4, Sean Perry, and Raymond Roker. This tag team set from DJ’s Jughead (Zack Hill) & Basskick (Steven Dimitri), part of LA’s much loved Vinyl Tribe, is from the 5th Bassrush event that was held on Friday, March 28th, 2003. The lineup for the night was DJ SS, Shy FX, Twisted Individual, L Double, DJ Bailey, DJ Tao, Hazen, DJ Trance, Fester, Jughead, Kid Bippy, Basskick, Simfonik and DJ Surreal. 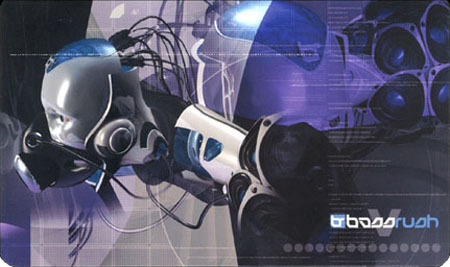 This mix by DJ Trance was recorded live, on September 1st, 2002, at the third Bassrush event in Los Angeles. 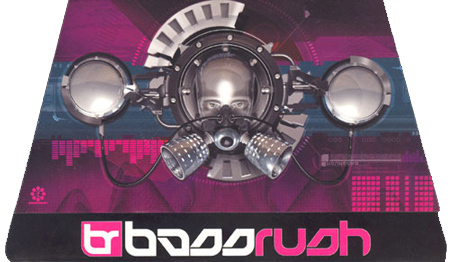 This was the first Bassrush where the main room was Drum & Bass and also the first to be held at what is now Vanguard LA. The lineup for the event was Roni Size, Adam F, DJ Craze, Usual Suspects, Reid Speed, Deacon, DJ Trance, R.A.W., Fester, Simfonik, DJ Surreal and Mindbender. Digital Boy – 1-2-3 Acid! 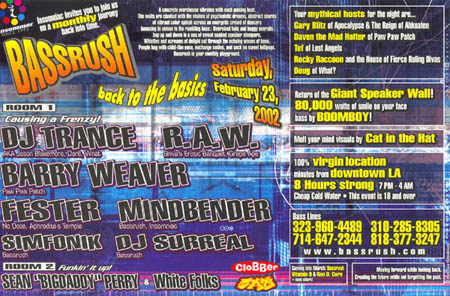 This is the set Barry Weaver played for the first Bassrush in Los Angeles, on Saturday, February 23, 2002. It’s close to 1.5 hours of great acid, house, and techno from the late 1980’s and early 1990’s.